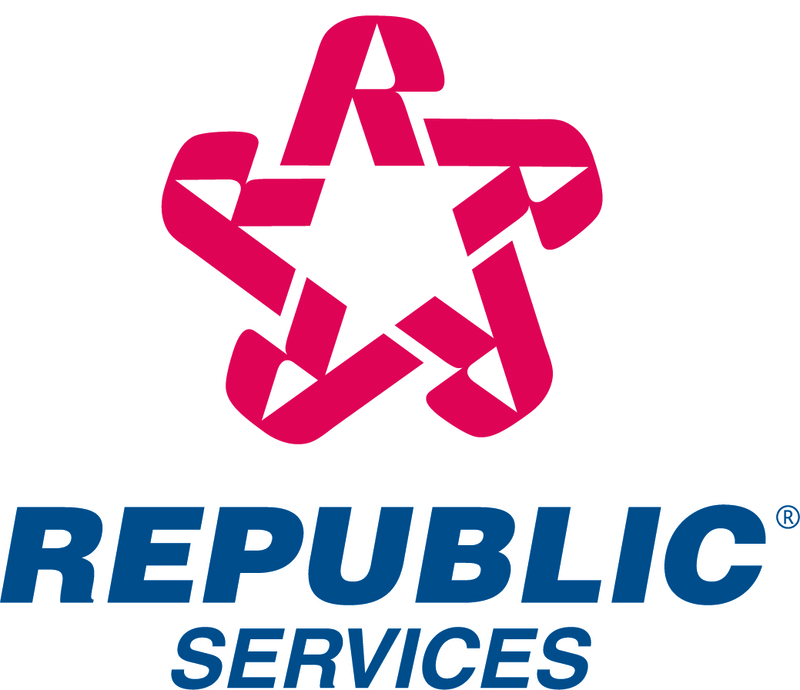 Republic Services, Inc. announced the total exchange price on the 7-1/8% notes due May 15, 2009 and the interest rate on the new 30 year notes offered in accordance with the terms of its offer to exchange dated February 16, 2005. The total exchange price to be paid on the 7-1/8% notes due May 15, 2009 that were validly tendered and not withdrawn by 5 p.m., New York City time, on March 2, 2005 (the early participation date) is $1,100.27 per $1,000 of outstanding notes. The total exchange price for the outstanding notes was determined using the yield on the 3.875% U.S. Treasury Notes due May 15, 2009 as of 2:00 p.m., New York City time, on March 14, 2005 (4.100%), plus 0.35%. Holders of outstanding notes who tendered after the early participation date will receive the total exchange price less the early participation payment of $12.50, or $1,087.77 per $1,000 principal amount of notes. Republic Services also announced that the interest rate on the new notes due 2035, issued in exchange for the tendered notes, will be 6.086%. The interest rate on the new notes was determined using the yield on the 5.375% U.S. Treasury Notes due February 15, 2031 as of 2:00 p.m., New York City time, on March 14, 2005 (4.786%), plus 1.30%. To date, $275,574,000 aggregate principal amount of outstanding notes have been tendered. The exchange offer expires at 12:00 midnight, New York City time, on March 16, 2005, unless extended. The exchange of new notes for outstanding notes is scheduled to occur on March 21, 2005. Republic Services, through its Exchange Agent, Global Bondholder Services Corporation, previously distributed to each holder of the outstanding notes a letter requesting certification that the holder is (i) a qualified institutional buyer, as that term is defined in Rule 144A under the Securities Act of 1933, as amended (the "Securities Act"), (ii) a person who is not a "U.S. person" as defined in Rule 902 under the Securities Act or (iii) an institutional "Accredited Investor" as defined in Rule 501(a)(1), (2), (3) or (7) under the Securities Act. Only holders of outstanding notes who have previously completed and returned the certification ("Eligible Holders") are authorized to participate in the exchange offer. The Confidential Offering Memorandum was distributed to Eligible Holders only and is available to Eligible Holders through Global Bondholder Services Corporation.